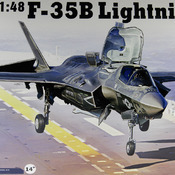 This book contains detailed instructions on building the F-35B Lightning II 1/48 scale model aircraft from Kitty Hawk. This book covers the INITIAL VERSION of the model. If the box on your model kit says Version 2.0 then you need my other book. There were several issues with Kitty Hawk’s instructions on this initial model that I corrected in my book. So if you follow my book, you’ll have no issues. I take the model kit instructions from Kitty Hawk and break them up into individual steps. I reorder the steps so that the small pieces (antennas, etc.) are assembled last which reduces the risk of damage when building the model. The steps are organized to insert the paint and decal steps in the best spot. I also incorporate Eduard’s Photo Etch sets 49653 and 48792 in with Kitty Hawk’s instructions. As most modelers know, it can be tricky to go back and forth between the model kit instructions and the PE instructions. I took out the guess work and did that for you. The PE steps are colored in yellow making them easy to skip if you just have the basic model. 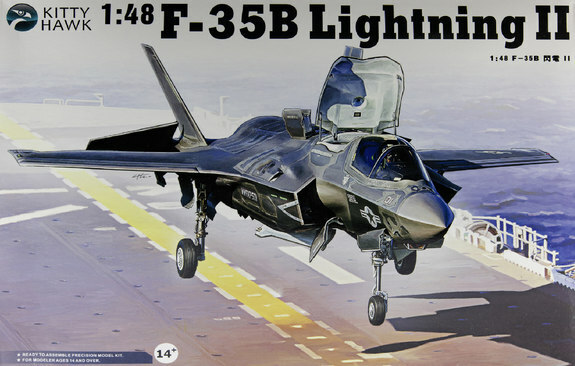 This book provides a little history of the F-35B, photos of the model kit contents including the photo etch frets, a detailed list of tools that I used to build this model, along with a list of paints. The actual instruction section contains 790 steps that tells you what to dry fit, glue, and/or paint for each individual piece. Each step instruction shows the source (i.e., either Kitty Hawk’s or Eduard’s instruction) along with a block for you to mark that you completed the step. If the last column contains an X, that means there’s a photo in the back with more details about the step.